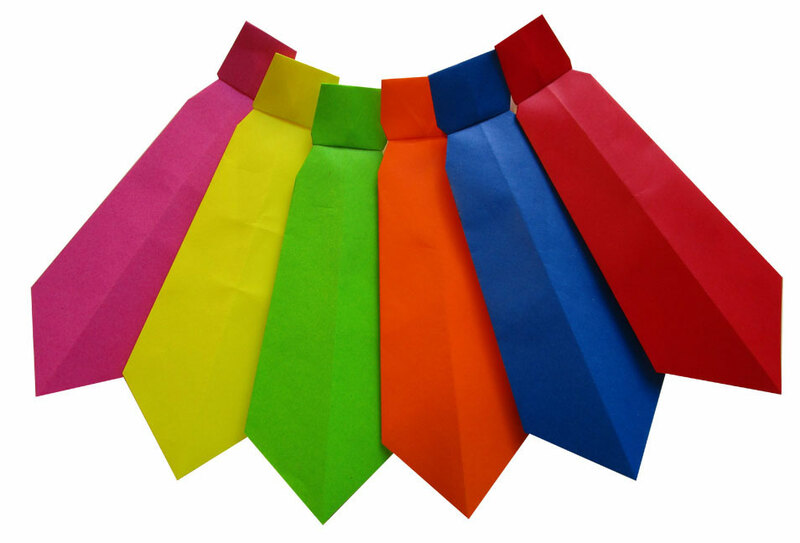 Neckties have a long history in the world. They date back to the 1600's and became a popular fashion accessory in the 1800's. 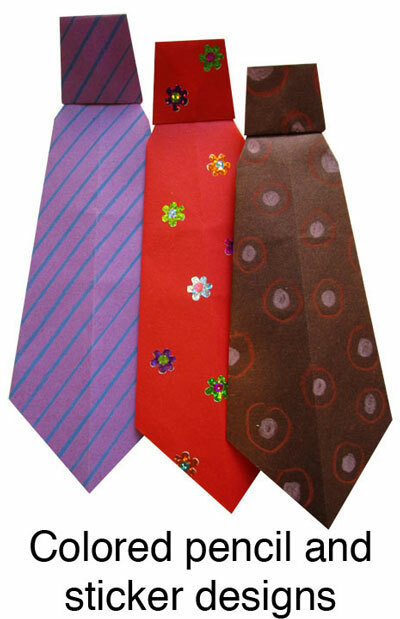 The custom of gifting neckties on Father's Day in the US and other Western countries began as early as 1920, but I cannot discover WHY they became such a popular gift for the occasion! A small version can be used to decorate a hand-made card. Use a 4" square for a greeting card size of 5.5" x 4.25". A 6" square makes a larger tie that needs a 8.5" x 5.5" card. These cards can be used for any occasion, Father's Day, Birthdays, Anniversaries, etc. A larger version made from an 8.5" square can be used AS the card, with a message written or stamped on the front. 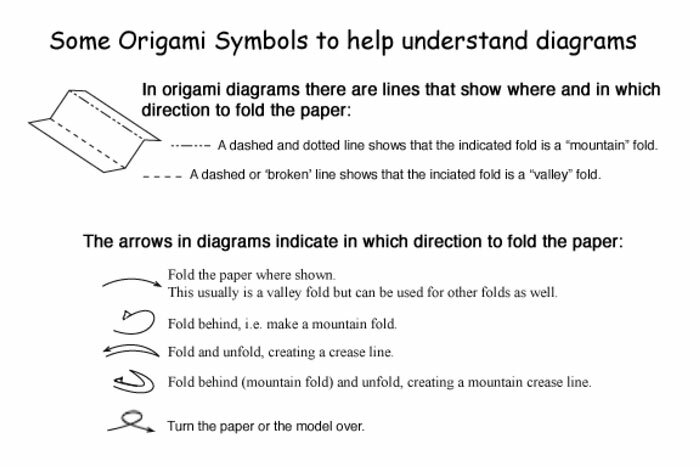 And a life-size model can be folded from a 12" square of scrapbook paper. 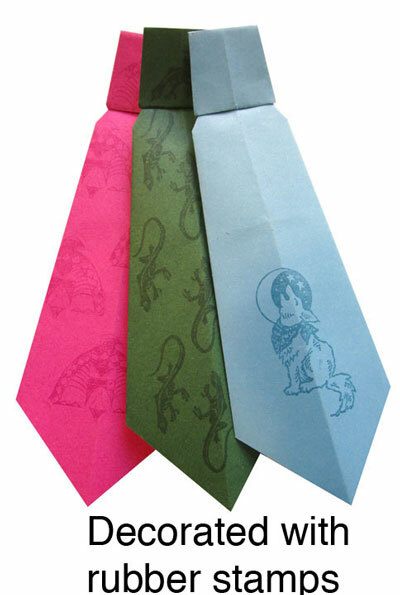 One way to present it is wrapped in a box as a real necktie. It can be used just as a joke, but is also a great way to disguise and present a gift card for that special guy who just doesn't need a real tie! 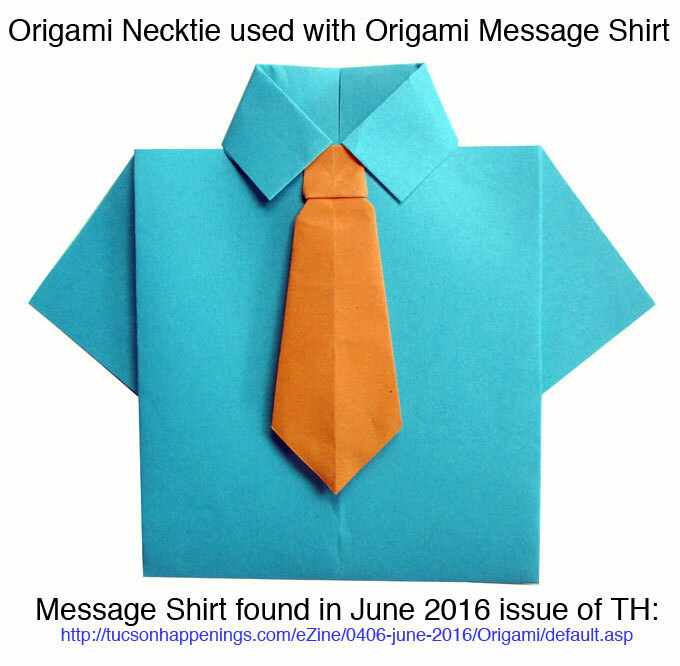 This model can also be combined with another origami model, the "Message Shirt", which appeared in these pages back in June 2016. 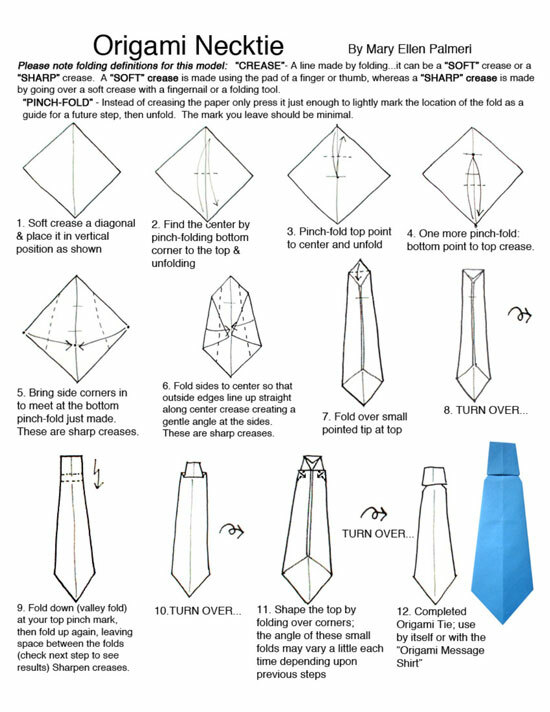 If you fold the Message Shirt from 8.5 x 11" paper, the tie should be folded from a 3" square to fit the shirt. Decorate as desired.